Johnny Callender was a motorcycle enthusiast. He established his own cycle business in New Plymouth in 1957, at age 30. 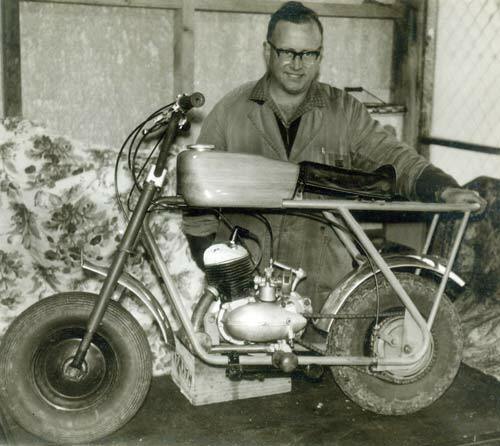 In 1963 he designed and built a ‘mountain goat’ motorbike able to handle the tasks and terrain of the average farm. It kept momentum at very low speed (so it could follow cows), had enough grunt to climb hills, and was light enough to be lifted by its rider unaided. Despite being an immediate success, Callender only sold around 120 of them. The bike had a Suzuki motor; Suzuki and other automotive companies improved on both design and production, and their motorcycles soon dominated the market.